The first decade of privatisation saw the emergence of a variety of new operators and liveries - many no longer with us. A new generation of high speed passenger trains emerged during this period, with the introduction of the class 180 Adelantes, 220/1 Voyagers and 390 Pendolinos. Freight services took on a new look with class 66s and 67s. All of this would eventually spell the end of many first generation diesel and electric locomotives. The era also marked the transition from film to digital photography, so many of the images here are scanned from negatives, prints or transparencies. Photographs are catalogued in locomotive/unit number order. 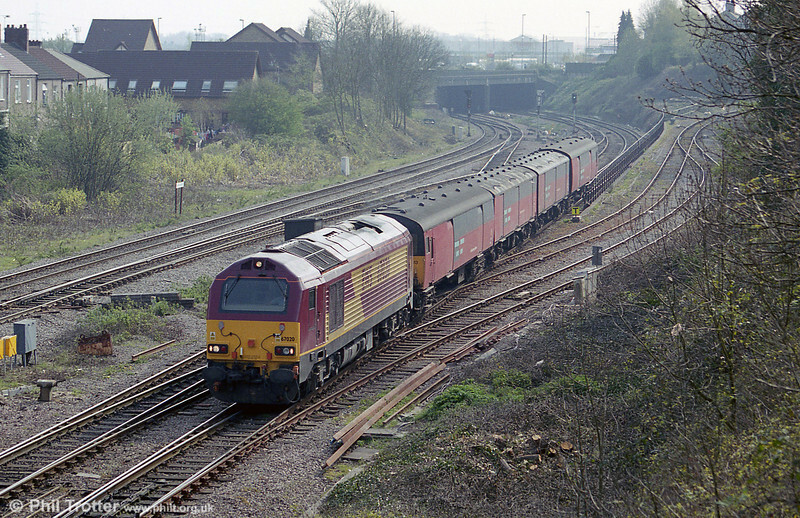 67020 passes Gaer Junction with a postal from Swansea on 8th April 2002.